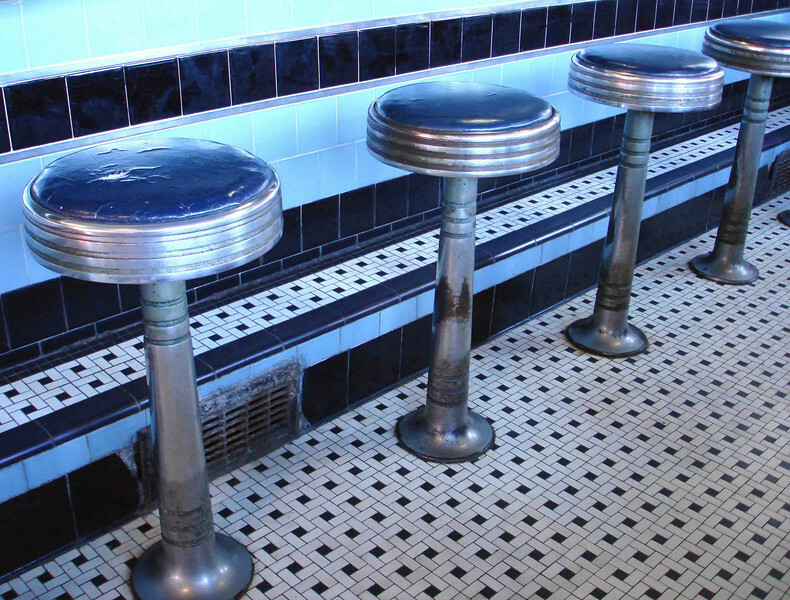 You can see what I meant by well-worn in this nice angled shot of the diner's counter stools. Lots of folks have sat on these stools. I wonder who?